FORT POLK, La. —The 1st Security Force Assistance Brigade had just about a year to recruit, train and prepare for a spring deployment to Afghanistan. 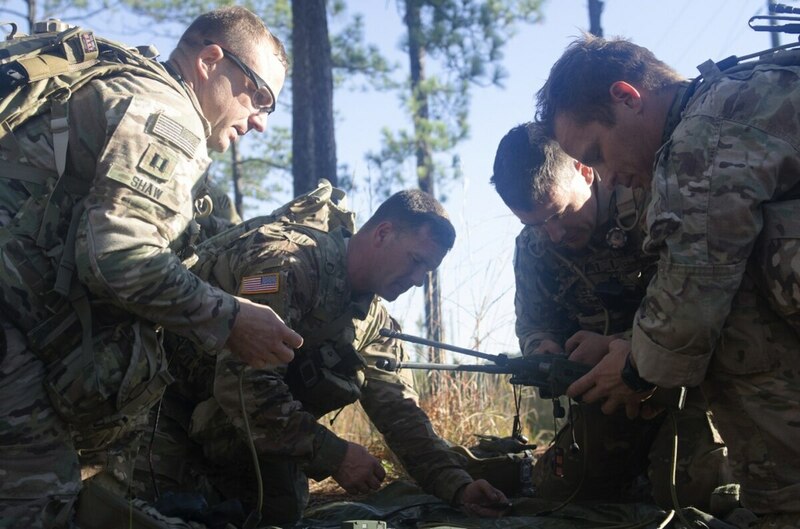 But the Army also wanted them to have the latest technology available, which at some points required an assist from the service’s highest levels. Army Undersecretary Ryan McCarthy, then serving as the acting secretary, stepped in last year to get the 1st SFAB their own AN/PRC 148 team radio and AN/PRC-152A handheld radios, he told Army Times in November. Down at their Joint Readiness Training Center rotation here, members of the SFAB were grateful for those and other top-of-the-line pieces of gear. The 1st SFAB also got the chance to qualify on one of the Army’s newest toys while at JRTC, the M17 Modular Handgun System. Though they’ll be accompanied by infantrymen from the 3rd Infantry Division, who will provide force protection in Afghanistan, SFAB advisers will not generally be carrying rifles while working with local forces. 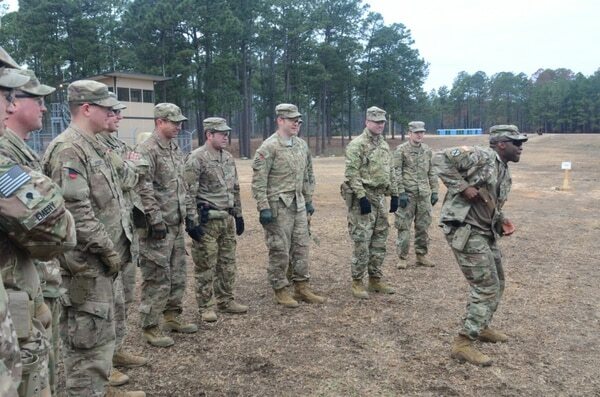 While at JRTC, soldiers on the handgun range practiced un-holstering their pistols from underneath their uniform blouses, with the expectation that they’ll be carrying concealed weapons at least part of the time. After the 101st Airborne Division, the 1st SFAB is the second unit to receive the new handgun, and the first to try it out on deployment. “It’s just one more example of how the Army’s taking care of the SFAB,” brigade commander Col. Scott Jackson said.